Pokemon is safe for kids of all ages. This is really important for a parent. You don’t want to get into something that is too violent or too mature. Kids are kids and should stay like that for as long as possible. The other TCGs like Yu-Gi-Oh! and Magic the Gathering are way too mature for younger children. Yu-Gi-Oh! requires you to place losing cards into the Graveyard when a card is knocked out. There is just something about sending cards to a Graveyard that I’m not comfortable talking to my kids about yet. With Pokemon the characters don’t die when they lose a battle. The Pokemon just lose all their energy when they get knocked out. Then they rest in the Pokeball until they are ready for the next challenge. With Magic the Gathering the artwork and stories are way too mature and may I say horrifying for young kids to see. With Pokemon there is no blood, guns or risque images. 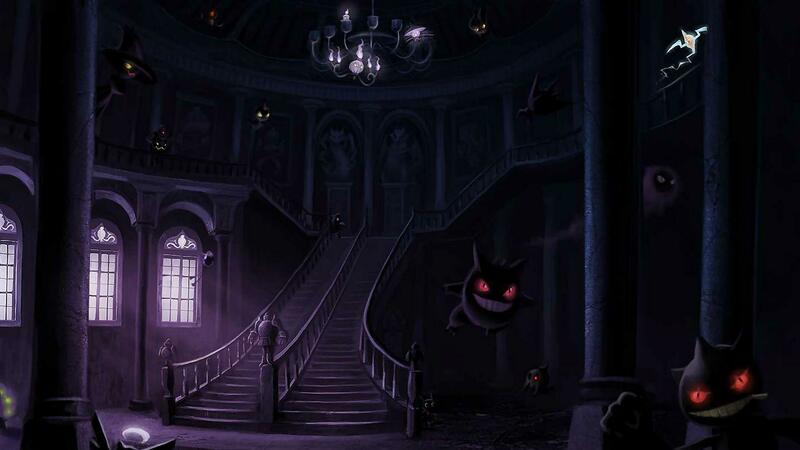 The artwork on the Pokemon cards is awesome and in many cases beautiful. One thing very important to parents is that the game is not too hard to learn. Pokemon TCG is easy to play. With starter decks aimed and created especially for young kids Pokemon makes it easy for parents to get their kids started and playing right away. You can get started playing Pokemon TCG for less than $20 with a Trainer Kit. There are really only a few steps kids need to know to start with. First your child will need their pick their favorite Pokemon to play with. If you buy a Trainer Kit you get several Pokemon to play with. The Trainer Kits come with a beloved Pokemon like Ninetales, Pikachu or Raichu. Next attach some Energy cards to the Pokemon in play and then you can attack. You can use the health numbers on the top of the card to count up or down until the opposing Pokemon is knocked out. Don’t hesitate to make up your own rules for the littlest ones. It’s all about having fun at the younger ages. The Trainer Kits also come with a playmat to show where to place the cards and everything is laid out very nicely. As your child grows you can make it as complicated or keep it as simple as you would like. If you have little ones younger than 6 years old the Trainer Kits are the way to go. Older kids can start with Theme Decks. Theme decks are similar to the Trainer Kits but they are meant for one player. The Trainer Kits are meant for two people to play right away. If you get a Theme Deck you will need two Theme Decks so you are looking at about $30 total. If you have a child that really wants to challenge himself or herself then you can create some customized decks. Lastly, the real and most important reason to play Pokemon TCG is because it’s fun. Why would so many kids play it if it wasn’t? My 5 year old doesn’t know what he is doing most of the time but we love playing the game together. Key word is together. He loves it because we are playing together and he is having fun. When he has his Pikachu attack my Litten he yells out “Iron Tail!” I can see the joy in his face when he makes that attacking sound and knocks me out. My 7 year old and 10 year old is a little more serious but they still yell out the attack names. I love the fact the game does not take the child out of my child. We all know we are playing a kids game with funny little characters and we have fun with it. When they go to play at the Pokemon League they love see all the other kid’s Pokemon cards. They talk all about their favorite Pokemon and trade cards. They talk with me all day about their trade and what happened during the League play. Later we watch the Pokemon movies and play with the action figures. I am grateful to the creators of Pokemon for the joy they bring to my kids through the characters and TCG. It’s a game we all love because we have fun together. So if you are looking for a trading card game to play with your kids whatever the age I recommend Pokemon TCG. It is truly the only TCG for young children and anyone who is a child at heart.